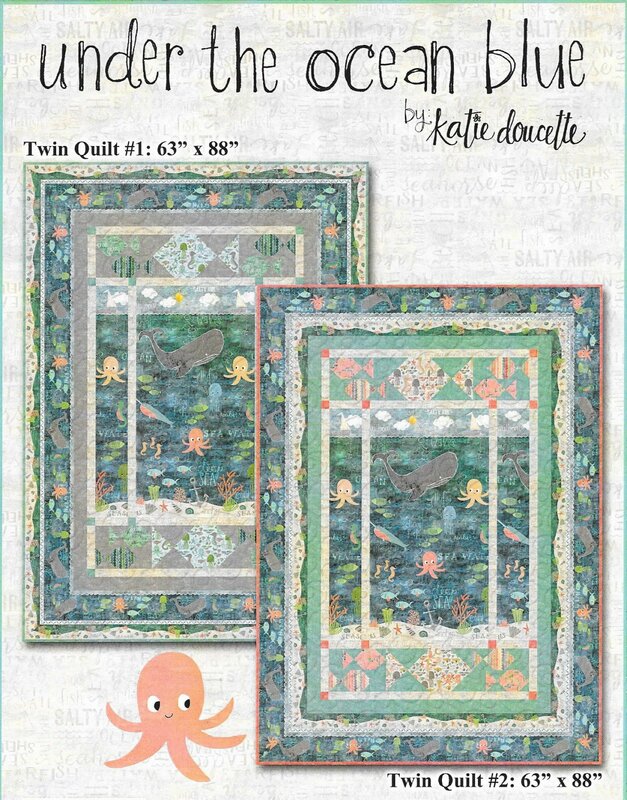 63" x 88" twin sized quilt kit that would be great for a boy or girl. Soft teals, corals and neutral will fit into any decor! Kit includes panel, color printed pattern and all fabrics for the top and binding.